(Publisher: Benteli Verlag, Ed.Peter Roelin, Michael Guggenheimer). 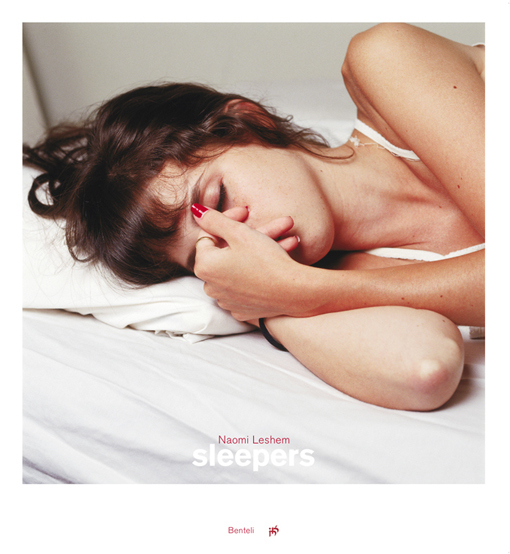 Transitions mark Naomi Leshem`s work «Sleepers» comprising 32 pictures. The activities and movements of the day come to a standstill but not the life and dreams of sleep. The photographer has captured the depth of sleep during REM phases of teenagers in Germany, France, Israel, Switzerland and the US in their own bedrooms. The immediacy of the state of these young people while asleep, so clearly illuminated in the photographs, also speaks of the contrast between the adolescent compulsion to move about, and complete relaxation. All of these impressively close portraits show deep sleep, anticipating at the same time the expected waking up into a new day. And what touches the writer when thinking about sleep and sleeping? Looking at the pictures of Naomi Leshem, Eran Zur, singer and songwriter in Israel, Eshkol Nevo, Israeli Novelist, Urs Faes, Swiss novelist, Ulla Hahn, German lyricist and novelist, Ruven Kuperman, Israeli artist and lecturer, as well as the Serbian writer David Albahari now living in Canada give their very personal interpretations.